You have to manipulate people's opinion via news programs. 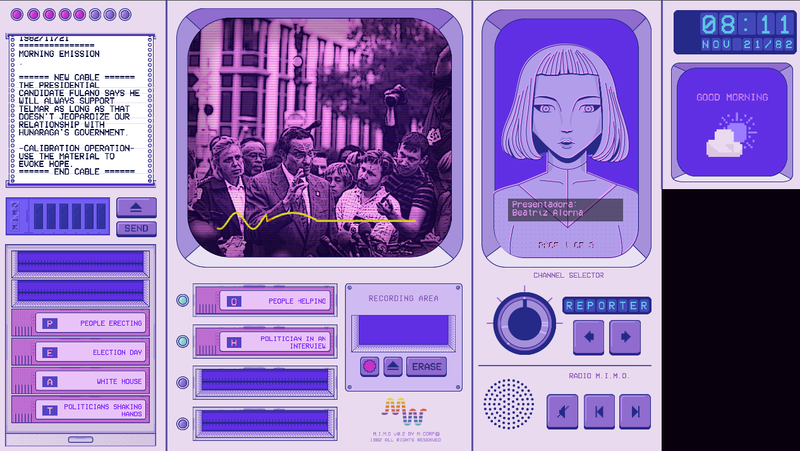 In this game, you transform newsworthy events into the news. To do so, you have to organize the material linked to each one to evoke an emotion that will mold the public consent. Use that to favor one of the two presidential candidates of Platanal. [ important ] The web version of the game is a post jam release. To play the one we uploaded during it, download one of the zips below. While we were working on the design of this entry, we decided to ask a couple of friends to build an actual machine that was a small representation of its bigger brother: M.i.M.o. (M.i.M.o. 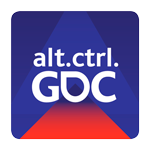 v0.3, we called it). 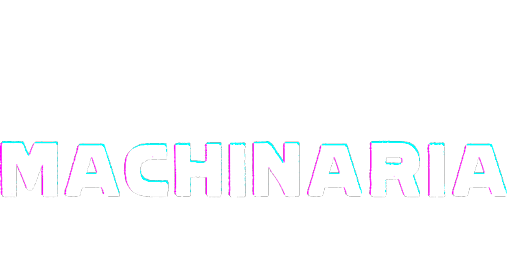 We hope we get selected to showcase the physical version of Machinaria at GDC 2019's Alt.Ctrl. "Because molding people's opinion through media is another way of controlling the masses." - One member of the team.